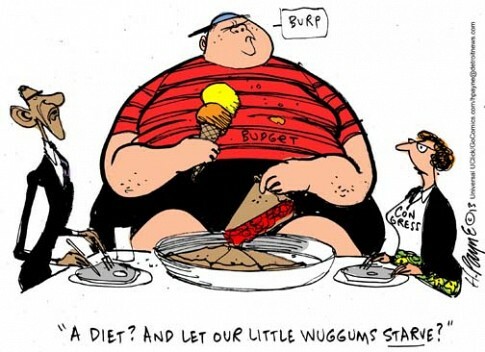 Would you like an economic lesson in government spending cuts? Try this exercise. Sit down and plan a trip to Disney World for you and your family. Make a budget of $20,000 to take this trip (never mind that you don’t have that much money to spare, just follow along with me). And then, forget the trip. Do you see what you’ve just done? You’ve cut your “spending” by $20,000! Congratulations! If you’re like me, you’ve just rolled your eyes. You haven’t cut anything but imaginary spending — something that hasn’t even taken place yet, and you wouldn’t have been able to afford anyways! And that is precisely my point. This is how the government “cuts spending” (on the rare occasion that they actually do). All cuts are against future increases in spending, and not actually existing spending. That’s like saying instead of increasing your annual take-out dinner cost by $1,000 next year, you’ll only increase it by $500, and then say you’ve cut your spending by $500. There must exist an alternate universe somewhere where this makes sense. Oh, right, Washington D.C.
Anyways, on with the news. Really, Leon? The Congressional Budget Office has announced that the cuts in FY 2013 will not amount to the $85 billion number being thrown around, but instead $44 billion dollars. Total. $35 billion in discretionary outlays, and $9 billion in mandatory spending. Let’s not forget that because military personnel is exempted from the sequester (as is war funding and a bunch of other stuff), there’s no reason to sweat our preparedness over such trims. Besides, how about that $1.5 trillion mistake, Leon? And who can forget when Nancy Pelosi begged us not to ruin her dignity by cutting her paycheck? Are these people serious? Your dignity is already ruined. 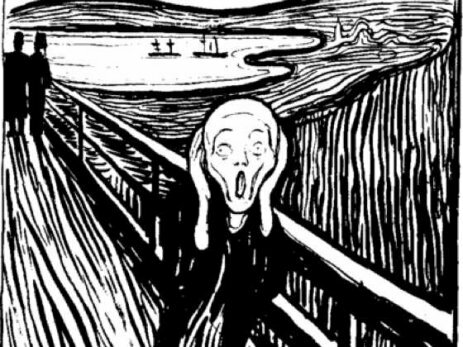 There hasn’t been a budget passed since April 29, 2009. And these people are best suited to run the economy and our health care? 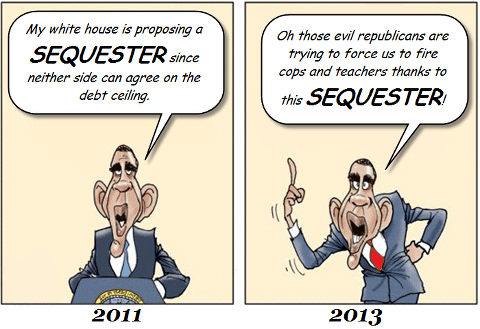 Even President Obama is saying the sequester is a bad idea… funny, because it was his idea. Why you ask? It’s simple. The sequester is a spending cut. And the government of today simply does not do spending cuts. In fact, I don’t think that they can even conceive of anything like a spending cut. A real spending cut, not the reduction in increase in spending which they tend to pass off as spending cuts. I don’t think that they even understand what a spending cut is! 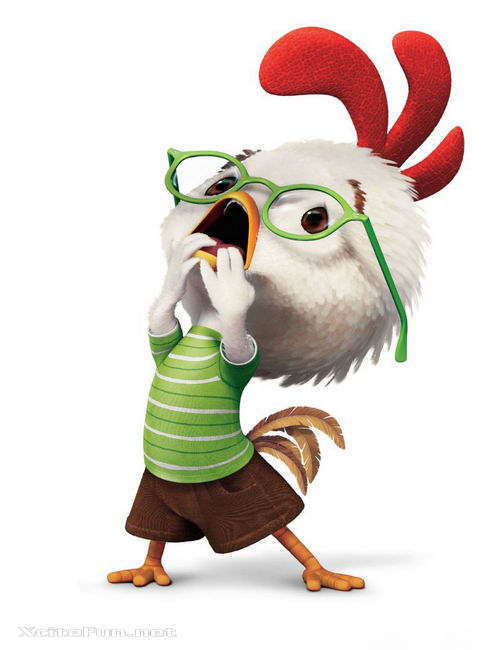 This whole thing just reeks of government crying “the sky is falling!” When will the people stop listening to Chicken Little?